I'll have to be honest with you: I almost didn't buy this book. I've always considered lucid dreaming a different phenomenon from out-of-body experience. (If you want to know why, I'm scheduled to give a talk for INACS (Institute for Neuroscience and Consciousness Studies) in Austin, Texas, about the differences (and similarities) between the two). So I didn't give the book a high priority. "My blog is about out-of-body experiences," I told myself, "not lucid dreaming; this book has no place in my blog." Still, some well-known authors consider them the same thing, so it shouldn't be out of place in a blog about OBEs. In the end, several people told me it was a great book (and I always pay attention to messages from the universe) so I bought it. They were right. When I started reading Lucid Dreaming, I had similarly low expectations. Maybe it was the primitive cover the publisher gave to the book. Or maybe my focus on OBEs: ("Why should I read this book on lucid dreaming when I've still got OBE books to read?") Despite my lack of enthusiasm, I was pleasantly surprised and thoroughly impressed. This is a great book: don't judge this book by its cover. As a matter of fact, this book has caused me to "flag" more pages than any other book I've ever read on explorations of consciousness. Waggoner makes so many interesting points and observations that I just had to flag them. Waggoner impressed me right out of the gate. My first flag: On page 28, he has a special section called "Differentiating Lucid Dreams From OBEs." Unlike Stephen LaBerge, who wrote that he thought OBEs were a kind of LD, this guy was clearly in my camp! From that moment on, Robert Waggoner won me over. He became my friend and ally, and a fellow explorer of consciousness. And I eagerly dove into his book. Strangely, he does not return to the subject of OBEs, even though it might have been appropriate (more on that later). Like my first book, and Robert Monroe's first book, Waggoner tries to approach the phenomenon as a scientist: he reports what happened and discusses what we can conclude from it. And he does it very well. It's very educational and informative. The book is definitely not out on any limbs. It's both professional and fair. He thoroughly discusses the different aspects of lucid dreaming, and what we can conclude from them, and where they can take us. As if a floating point of light in an expanse of aware, living light, the self-less awareness exists. Here, all awareness connects. All awareness intersects. All knowledge exists within the brilliant, clear, creamy light of awareness. Awareness is all; one point contains the awareness of all points; nothing exists apart. Pure awareness, knowing, light. Then, suddenly aware of the black-gray dream space and the lone figure standing there, I try to get my bearings. Recalling the aware light just experienced, I ask the robed figure, "Was that a lucid dream?" "No," the figure replies. "To enter a lucid dream, go this way." He points to the empty space in front of him. ...As I cross an invisible boundary, my awareness hurtles through a tunnel of whitish blue light, along whose surface I see intermittently various raised symbols..."
I felt completely overwhelmed when I awoke from this experience. Was was this? Clearly the author had some kind of transcendent experience, not just a lucid dream. He doesn't call it an OBE, but it sure sounds like one. As far as I know, seeing tunnels is a feature of Near-Death Experiences (NDE) and sometimes OBEs, but not lucid dreams. ...By this, I propose that awareness can step apart from the self, then reunite with self, and that is how you coherently report about a self-less state of consciousness. The self does not experience it; the self's awareness experiences it. Upon the reuniting of self and awareness, the self possesses knowledge of the awareness. This movement suggests that consciousness of self exists as a quality arising from awareness, but does not constitute awareness. ...The self has awareness, but the self is not the Awareness. Basically, it seems to me that we clothe awareness with layers of self conceptions. Then we assume awareness results from or exists by virtue of the clothing of self-conceptions! While awareness enlivens the self conceptions, the self conceptions do not create the awareness. That's the kind of discussion I live for. That's the kind of depth my soul rejoices in. That whole discussion--what proceeds it and follows it--are deeper than most of the OBE books I've ever read, most of which talk about bodies and spirits and souls. 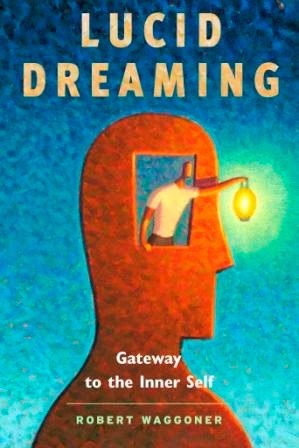 In chapter 16, he discusses the topic of mutual lucid dreaming, where more than one dreamer describe the same scenery, events and conversations when they return. This is a fascinating topic: this is where Lucid Dreaming and OBEs start to intersect, although that's only my opinion, not the author's. Chapter 17 is even more fringe (in a good way): he talks about experiences where lucid dreamers meet and interact with the dead. In some cases, they actually give the dreamer information that he or she wouldn't know. In other words, they provide proof that it's more than just a dream; all indications are that it's the real person who died. This is good stuff! From that moment on, I sensed that behind all appearances an unparalleled, profound connection exists at a deep, deep level. Beneath each experience lies a connectedness. Behind each life, each object, each action, an awareness exists joined to all other life, objects, and actions. The inner working of all this awareness spills out into a reality formed and experienced and connects all in a massive symphony of individual creativity and fulfillment. As I have endeavored to illustrate throughout this book, the waking ego, the waking self, seems only a small portion of the totality of conscious and unconscious awareness. This is one of those books where I can honestly say that I agreed with everything the author said. His treatment of the subject is fair and honest. His spelling and grammar are flawless, and he has plenty to teach us. The book does not treat lucid dreaming as an oddity of nature, or an anomaly or our consciousness. It goes deep into what we can learn from it, where it can take us, and its potential for consciousness exploration. This is a great book, and I highly recommend it to anyone interested in doing explorations in consciousness. I really enjoyed all of your fair and detailed description of Robert Waggoner's Lucid Dream book. True Love, Armand L. Archambeault. Thank you Bob for your thoughts and hard work in the field of OBE . I am old and have been traveling in the other worlds since the early 1970's....like you! Thanks for keeping up in the field of OBE and your comments on all the new material concerning Lucid Dreams and OBE. I agree with your assessments of the old/new material!